Chelsea Truck Company, Kahn Design, has taken another step forward by introducing another custom Land Rover Defender. The U.S. car tuner which has been known for launching Land Rover Defender has come up this time with a retro-inspired Defender Homage II Edition. Many modifications have been introduced in this model to make it look awesome in terms and also special care has been taken to improve the working of this new Land Rover Defender. The headlights are placed on the radiator grille and 200 mm (8 inches) of extra wheelbase is introduced in this version. It has the traditional Chelsea Truck body kit just like other vehicles of this category. Its front portion has been inspired by the Series 2 version and the external roll cage has been painted black. Another version of this category, Land Rover Defender 90 will be out in the year 2020. Not only the outer looks, but also the interior of this Land Rover Defender has been developed in an excellent fashion. The console has been placed in the centre and it is upgraded to the latest version. Apart from the seats, the new center console, the dashboard, the doors, the sun visors and also the ceiling have been covered with fine leather upholstery. 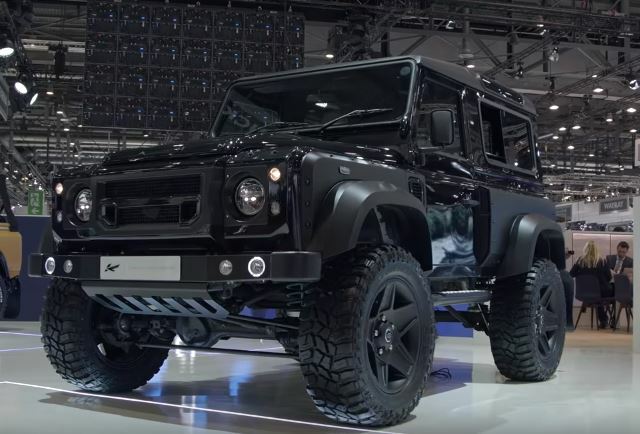 However, Chelsea Truck Company has not revealed anything about the upgradation in the performance of its Land Rover Defender Homage II Edition. One thing is sure that customers are willing to pay the price with a higher value than the SUVs.